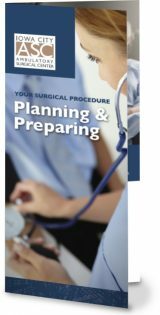 This brochure will help you plan and prepare for your surgical procedure by outlining pre-operative, day of and recovery information. 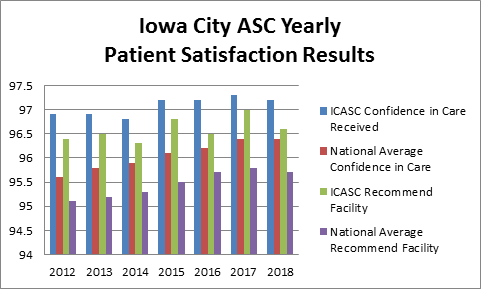 This flyer outlines the pre-admission information that an Iowa City ASC nurse will review with you prior to your surgery. 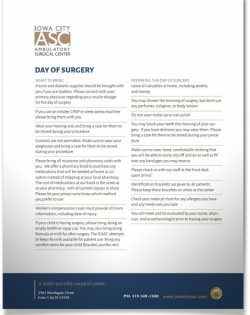 This flyer outlines information that might be helpful to you for the day of your surgical procedure at Iowa City ASC. 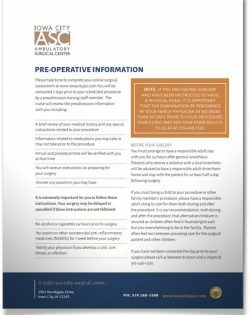 This flyer outlines things to watch for following your surgical procedure at Iowa City ASC. 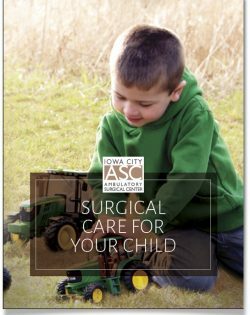 This brochure has a section focused on surgical procedures for your child and what you can expect. 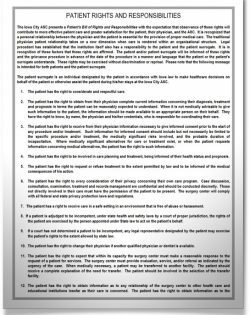 This document is presented with the expectation that observance of the Patient’s rights will contribute to more effective patient care. 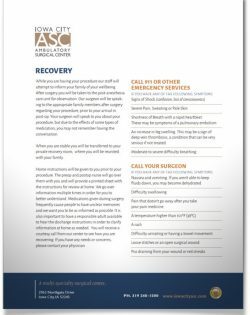 You will learn if what you are feeling about your upcoming surgery is “normal”, 5 tips to reduce stress before surgery, practical ideas you can implement now, and more. Although it’s necessary in many cases, the process of undergoing surgery can be a frightening thought. Everyone’s reaction will be different when they find out they need a surgical procedure, but thankfully the ways in which you can mentally prepare for surgery work for nearly all individuals. In this resource, you will learn about the different types of cataracts, who is at risk for cataracts, what to expect from cataract surgery, and more. Regular trips to the doctor and seeing your child in pain because of ear infections can be frustrating but there is hope. Be guided by the ENT Specialists at Iowa City ASC and learn how many ear infections is too many and other symptoms that might require a visit to an ENT Specialist. ACL and labrum tears are two very common injuries. This resource will provide more information on the injuries, tips to avoid injury, healing time after injury, and more. 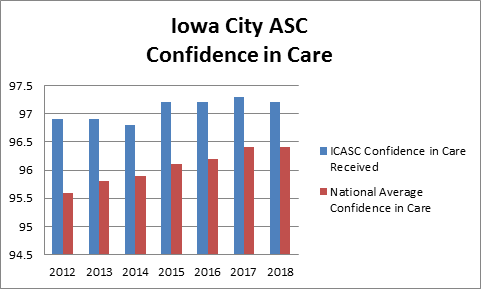 Due to the nature of the services provided at Iowa City Ambulatory Surgical Center, in the event of a medical emergency while under our care, it is our policy to resuscitate all patients until care can be transferred to an acute care facility. A copy of the patient’s advanced directives documents will accompany the patient upon transfer to an acute care facility. We employ a professional staff and work with highly skilled physicians. Our nurses, surgeons and anesthesiologists are experienced in outpatient surgery. Our staff is comprised primarily of RNs averaging 15 years of experience. 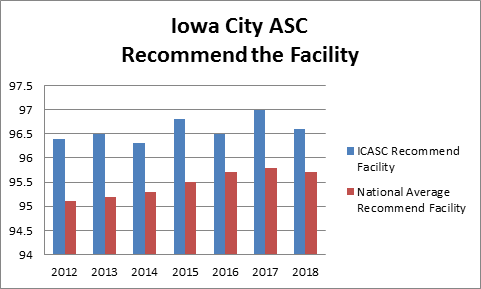 The Iowa City ASC is regulated by the Centers for Medicare and Medicaid Services (CMS) and the Accreditation Association for Ambulatory Health Care (AAAHC). Both require strict adherence to guidelines and expect best practices for all procedures. 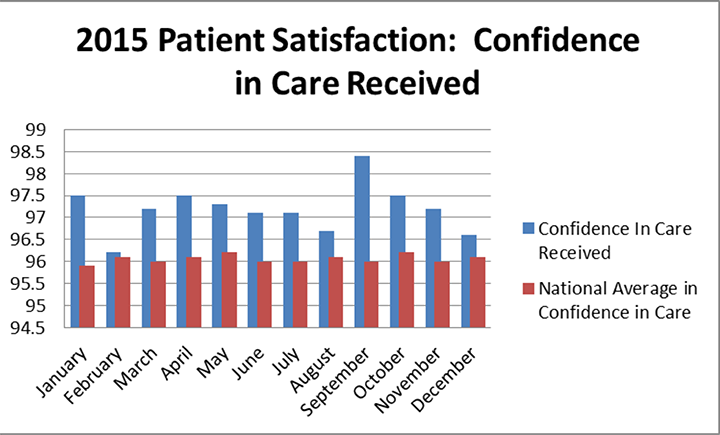 We independently benchmark and monitor patient outcomes such as infection rates, antibiotic prophylaxis, hospital admissions/transfers and other quality criteria. 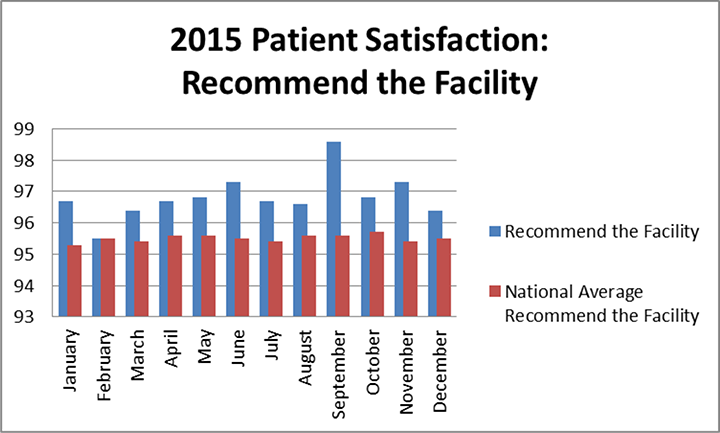 We regularly perform better than national benchmarks in all areas of quality patient care. 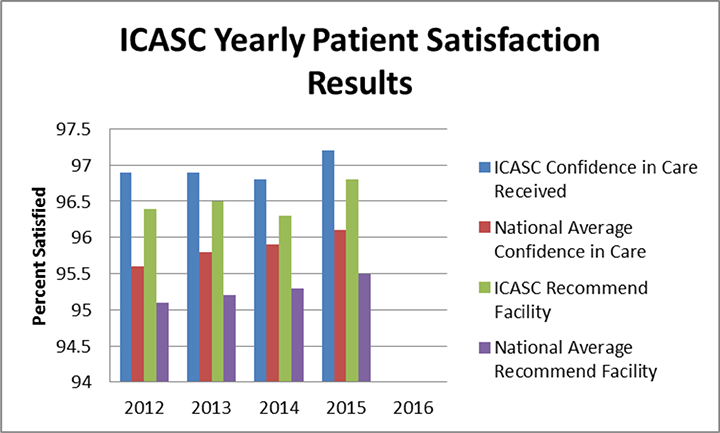 These graphs summarize our patients’ experiences with Iowa City ASC.